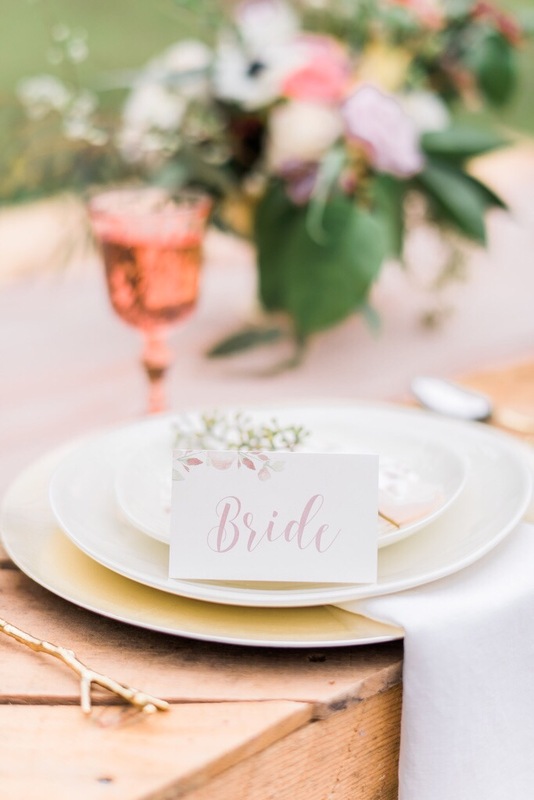 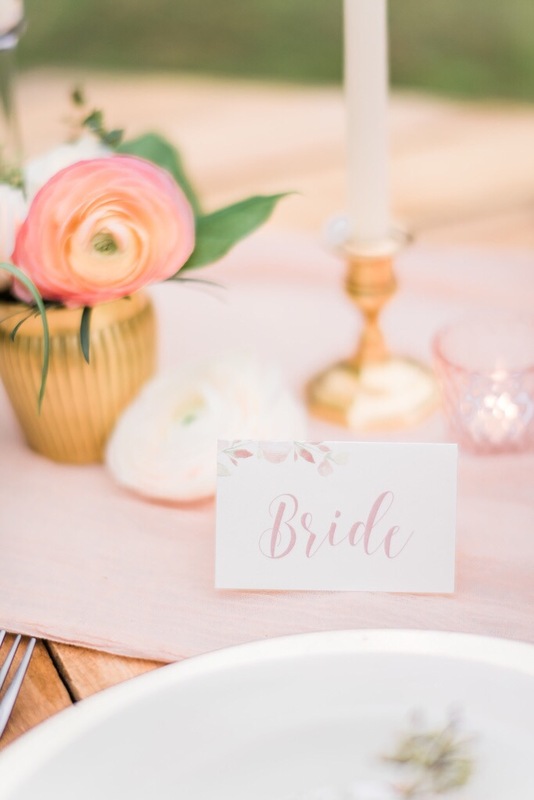 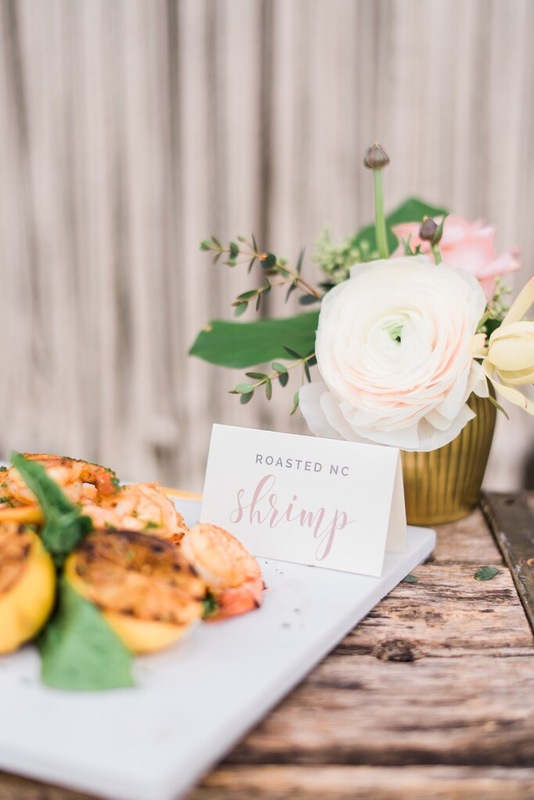 We worked with Cheryl-Anne Kast of Kast Events to stage this beautiful photo shoot for The Southeastern Bride, Book Two, “In Bloom”. 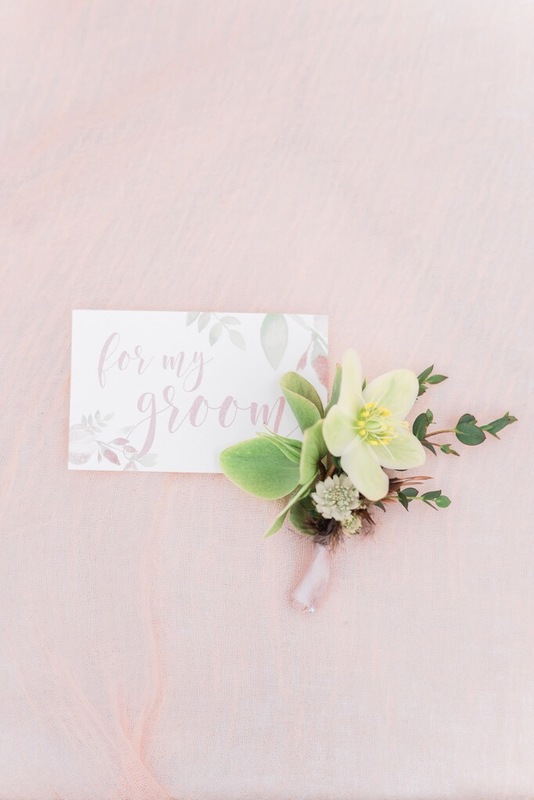 It was a great experience working with these other local vendors to realize her vision of an elegant Spring floral wedding! 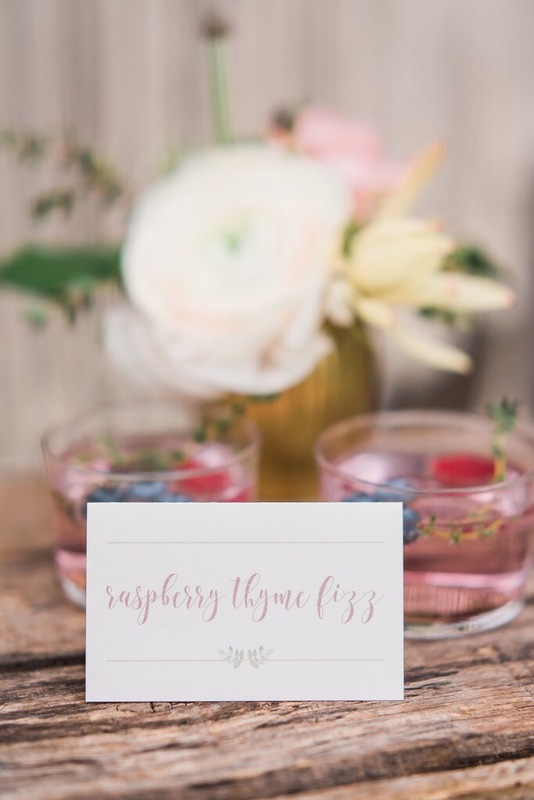 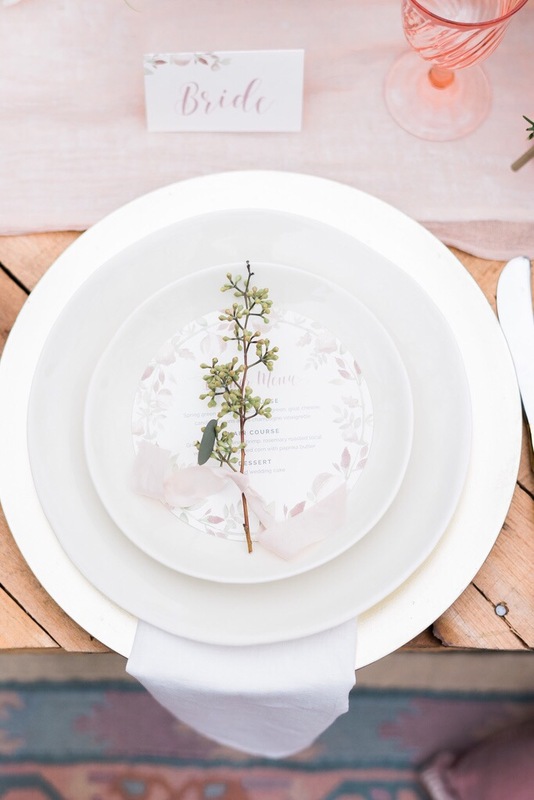 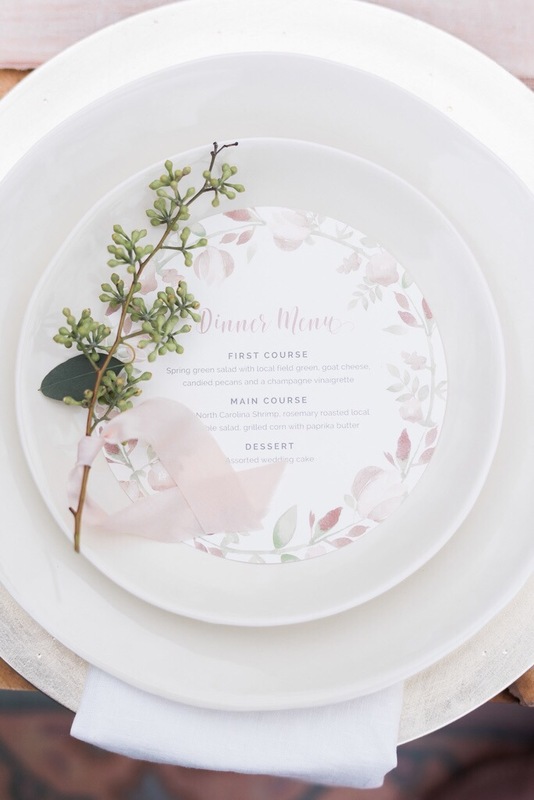 For this design, we created a soft wedding suite to vibe with April florals for this Spring wedding. 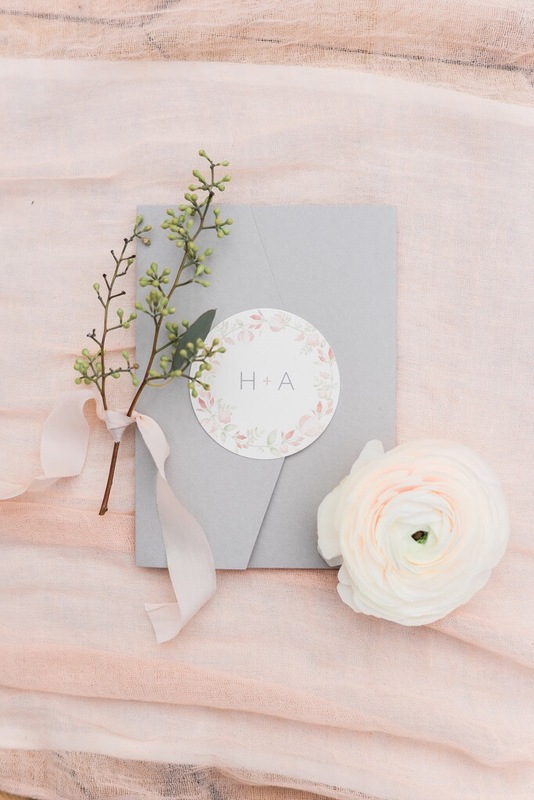 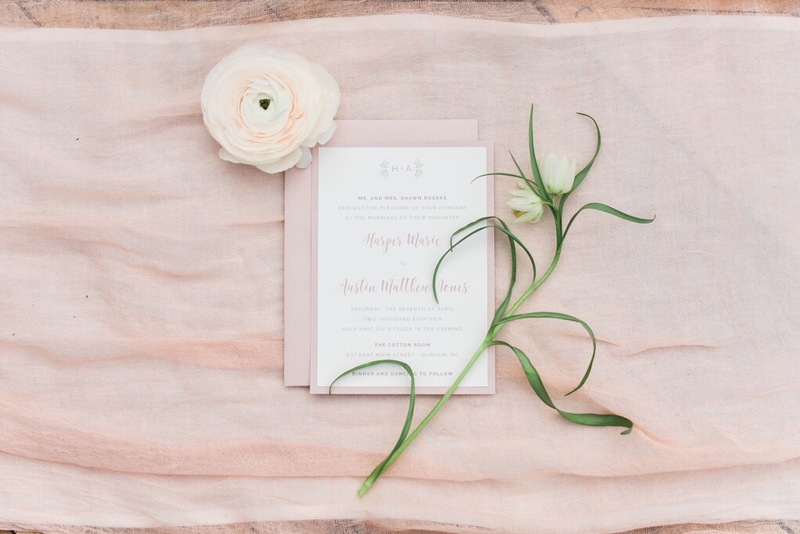 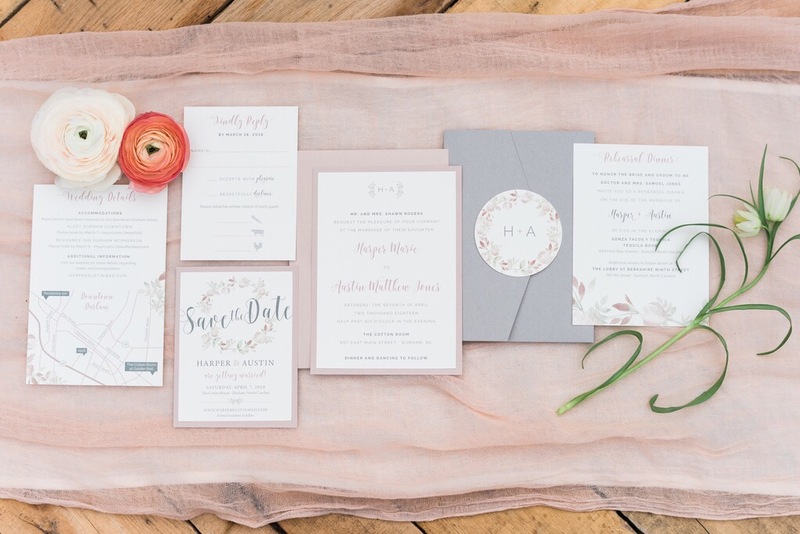 Tones of blush are anchored by a soft gray pocket fold, which neatly contains a detail card with a custom map, a rehearsal dinner card that carries through the floral illustrations from the invitation, and an RSVP card. 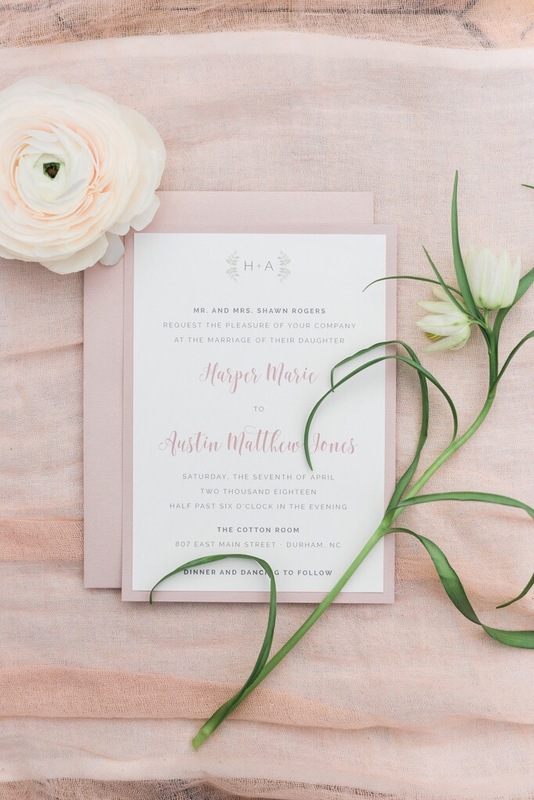 The matte, textured gray is formal and traditional but still soft, and the blush tones are neutral but add romance and subtle color. 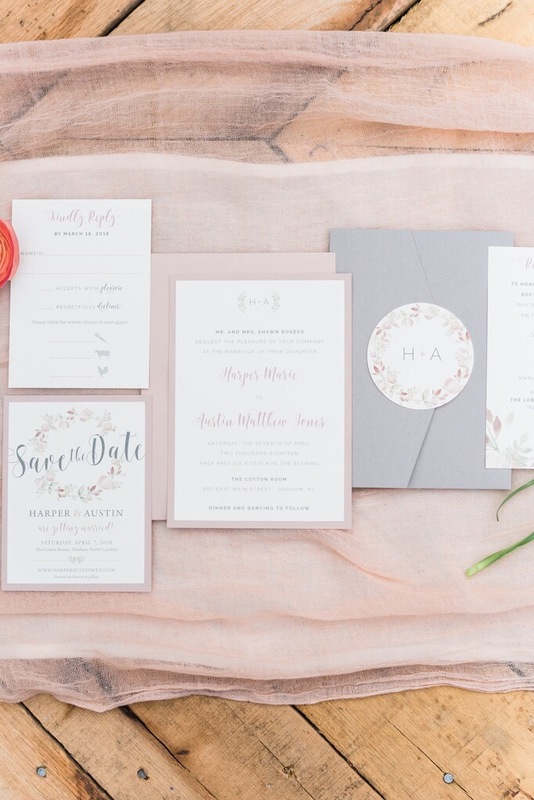 A beautiful digital handwriting font and custom monogram seal were other focal points of the design.